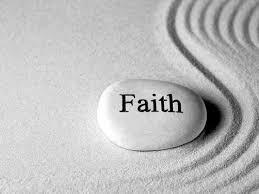 Thoughts from Brahma Kumaris: Faith in one's progress brings contentment. Thought to Ponder:Even when the situation is not according to what is expected, there is contentment for the one who has faith in his own progress. Such a person will not just sit back waiting for things to change nor will he just curse his fate. Instead he'll do his best and use all his resources in bettering the situation. Point to Practice: The understanding that all life's situations are a training for me, automatically keeps me content in all situations. There is naturally an experience of constant progress and a feeling of having gained something from all situations.